Home > Pulse Microsystems Ltd. Ambassador is a free, easy to use online software that allows you to change design formats, resize designs, change colors, and more. A big advantage of using Tajima DG / ML by Pulse is the free, easy-to-use Ambassador software application. Ambassador can be used by your customers to make minor changes to the design themselves, without disrupting your workflow, after the design has been delivered to them. 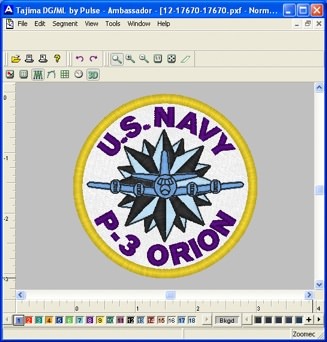 Using Ambassador, users can view Pulse .pxf files as well as many popular industrial and home embroidery formats, so the design approval process is easy. Plus, users can easily re-size designs, change colors, cleanup short stitches, and convert designs to various industrial and home embroidery formats like .dst, .pes, .dsb, .sew, .exp, .hus, and more. Ambassador is built on the same world-class stitch engine as our top-of-the-line software, so you are assured of Pulse’s world-class stitch quality. If you need more information please contact the developers of Ambassador (Pulse Microsystems Ltd.), or check out their product website.